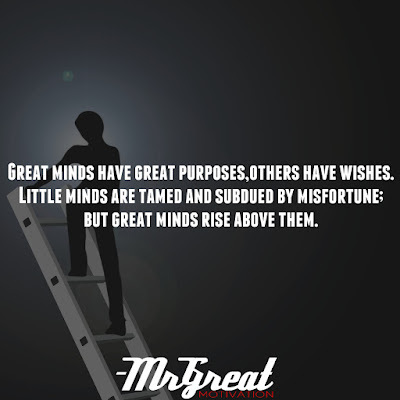 Home Motivational Quotes Great Minds Have Great Purposes, Others have wishes. 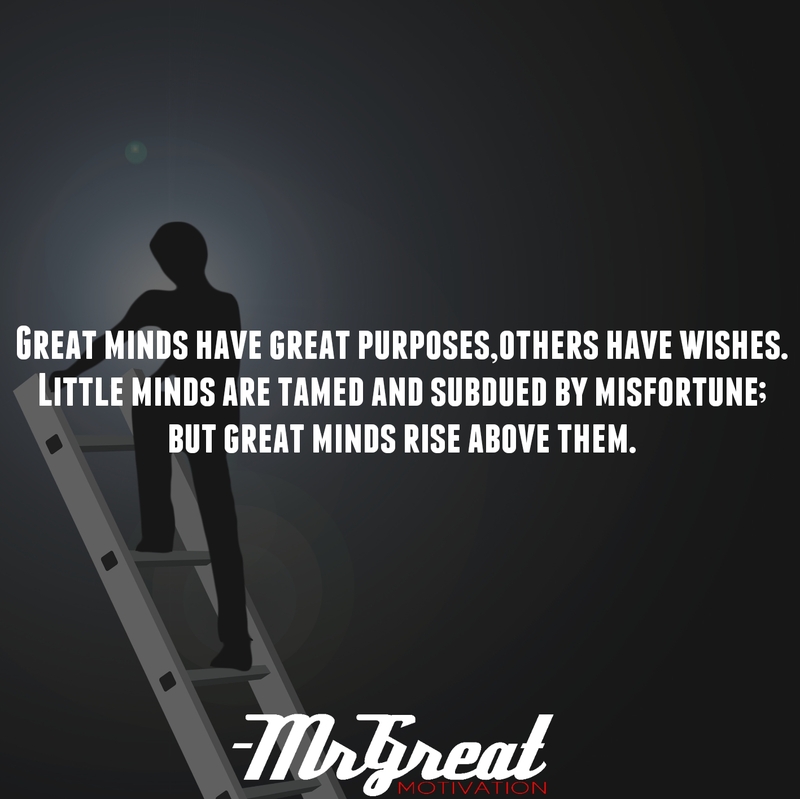 Little Minds are tamed and subdued by misfortune; but great minds rise above them. Our expectations carry a huge part of our decisions. If we just crave for things, but something challenging is in the way, it’s not going to happen. After all, it’s only a wish, only a dream. Often, the contrast among achieving goals and simply having them is a prospect, rather than think of what we want as baffling dreams, reframe them into purposes—possible and actionable goals that we're driven to accomplishment. The people with a great passion and project are the ones who know what they are performing, and why they are creating it. With both, we have direction and a driving force. If we have no purpose, what will we suppose to accomplish? If we have a purpose, like helping others, we will surely get something done sooner or later one day. As with life in general, there is a lot of gray areas, and what is best for us might not be the best for others. We’ll have to figure out what we are going to do, but at least we should have thought about it. Let us take the time to examine life. Now, are we going to do it on purpose, or are we just going to wish something would happen? It’s up to our desires and craving for it always.